"Sworn to Protect Your Comfort"
When you live in Texas, there’s no question that summer will attack you with guns blazing. 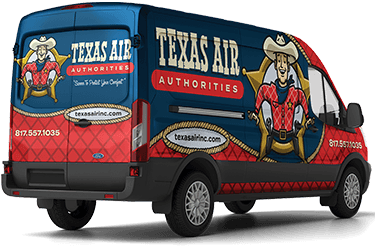 You can count on the good guys at Texas Air Authorities for all of your residential HVAC repair needs, from Grand Prairie to Mansfield. We'll keep you cool with our top-notch AC replacement and installation, dependable air conditioning repair service and reliable air conditioning maintenance service. From Grand Prairie to Mansfield and beyond, it’s equally important to guard the warmth of your home or business during the colder months. Our residential HVAC repair services will flush out the unexpected villains that threaten to wreak havoc on your comfort. 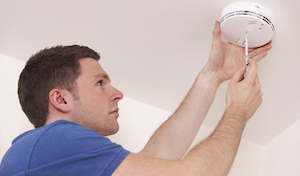 We have the experience and expertise to tackle any heater repair and replacement or heating maintenance job. We’re also qualified sharpshooters when it comes to heat pump repair and furnace repair. Your home is your sanctuary. And no matter what it’s doing outside in the Arlington area, it’s where you spend as much as 90 percent of your time, according to research cited by the U.S. Environmental Protection Agency. It’s also a place where you’re probably exposed to more pollutants than outdoors, according to the EPA. We are on the case to protect you from all of the dust, allergens and other gunk hiding out in your indoor air. We specialize in air purification, air filtration, humidifiers, dehumidifiers and more. When you want to restore law and order to your Arlington-area home, you should consider a maintenance agreement. Never underestimate the power of a solid maintenance plan. It’s an affordable way to keep your HVAC system running smoothly and efficiently, saving you tons on energy bills. 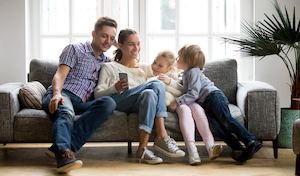 Plus, routine checkups help identify—and fix—minor disturbances with your unit before they escalate into full-blown chaos that require residential HVAC repair service. Our team will help you keep the peace. And you won’t have to rob a bank to do it. By Jingo, They Love Us! Made an appointment to have an a/c checkup before the summer heat comes. David came out, did a thorough check of the system and went over everything with me. Set up an air quality monitor in my home while he was there and showed me the results. Very pleased with the service and will definitely recommend! Excellent service and on time. David was great and honest about what needed to be done. I would recommend Texas Air Authorities for anyone's HVAC needs. Simply excellent! Two words describe this company… “Honest“ and “competent”.Called on Thursday to have my two AC units serviced. Gave me an appointment for Friday. Called me on Friday to say that they would be coming early. Quoted me $79 per unit to service. Sent David out who worked for over 1 1/2 hours. To my amazement, the bill was $79 for each unit as promised. I could not ask for better service And for a more competent technician. I will have this company service my other home as well. Great cuatomer service on the phone and in person. David was on time, polite, friendly. Diagnosed the problem and fixed it super quick. Thanks for getting our heater working again! We were gone on vacation and came back to a terrible smell in the house. I determined that one vent had been intruded by an animal (who had then died). When I called, they responded promptly and provided an estimate. At the same time they promoted a product called Global Plasma Solutions (GPS 2400) to rid us of the odor. Their website says: “Global Plasma Solutions (GPS) is the pioneer in needlepoint bi-polar ionization cold plasma technology. The GPS-2400 is a carbon fiber brush, needlepoint, bi-polar ionization generator rated up to 2,400 CFM or 6 tons nominal capacity. With TWELVE patents granted, and numerous other patents pending, GPS is the uncontested market innovator creating disruptive technology in numerous markets.” It is said to: “Kills Mold, Bacteria & Virus, Reduces VOCs & Odors, Reduces Particles, Reduces Allergens, Works in Air & on Surfaces, and is 0.00PPM Ozone free”. It is not inexpensive but did seem to rid us of the odors while we waited for the new duct. Four men arrived to install the duct and completed the job in good time, especially considering it had to run through some very tight spaces due to the complex design of our home. Their demeanor and friendliness was terrific. I would definitely have them back or recommend them to a friend. The administrative staff is also responsive and cooperative. While they were here I asked for their annual AC unit cost and it was slightly less than the company I currently use, so I will be looking to them annually. The technician was prompt, thorough, and very friendly. We will definitely be using their services again! The technician came on time. His name is Daniel and he is very polite, respectful, knowledgeable. He correctly diagnosed the issue and fix it. Don’t let energy inefficiencies pick your pocket. Use our calculator to learn how an efficient HVAC system lowers monthly electric bills and saves you money. The Comfort Dispatch is your go-to guide for HVAC news, expert advice and more. When it comes to your cooling, heating and indoor air quality needs, Texas Air Authorities is the team you need on the case. We’ve got you covered with a 5-Star Service Guarantee that is sure to blow you away. We’ll ride to your rescue—lickety split! We’ll remove the evidence—to leave your home spotless! 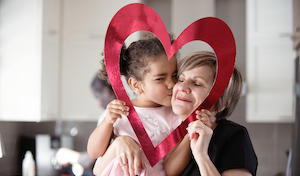 You have our oath to provide an accurate diagnosis—and the best options for you! We’ll protect you from shakedowns—with our fair prices! We’ll always mind our manners—your satisfaction is 100% guaranteed! Contact Texas Air Authorities today. or installation of $100 or more.